You can view or download a PDF file listing the contents of the Lesson Presenter, click here . 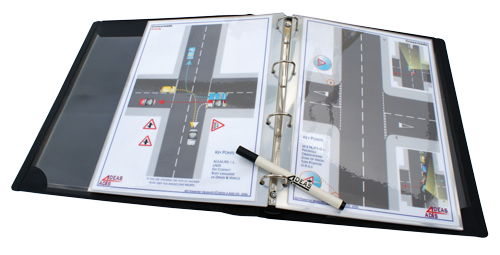 Additional sets of diagrams, which can easily be added to your presenter, such as Pass Plus, traffic signs and road markings will be available soon. Keep checking back to this site or sign up for our newsletter and receive special offers! The presenter looks ace, I’m well chuffed. This is full of pictures with a few keywords and I work by pictures far better so I am one happy bunny, the quality is superb. I love the lesson presenter and I am pleased to say I bought the expansion pack to top notch!!"